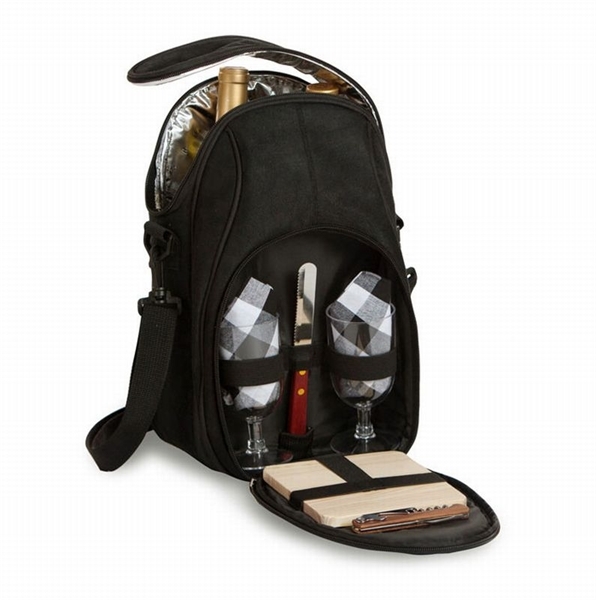 The stylish Brava Wine & Cheese Set from Picnic Plus has a fully insulated thermal foil divided compartment specifically designed to hold 2 bottles. 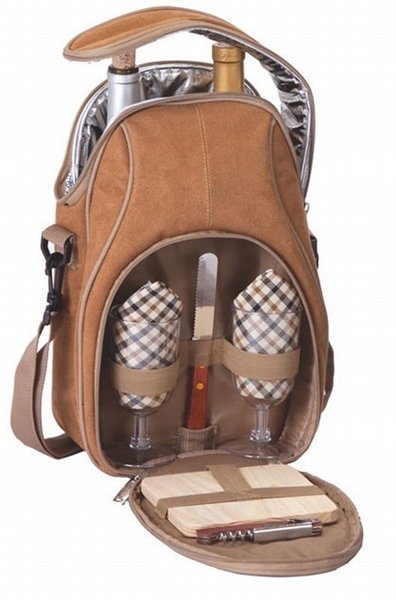 This unique wine and cheese tote includes a wooden cutting board, cheese knife, 2 acrylic goblets, cotton napkins and a wooden handle corkscrew bottle opener. 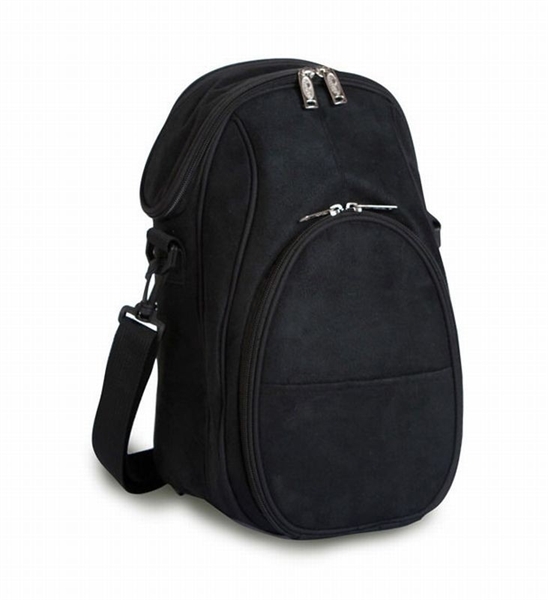 With the adjustable shoulder carry strap, this set is ready for picnics, concerts, or travel. The Brava makes a perfect gift for wine and cheese lovers, bridal and wedding gifts. Want to add some Wine & Cheese ?